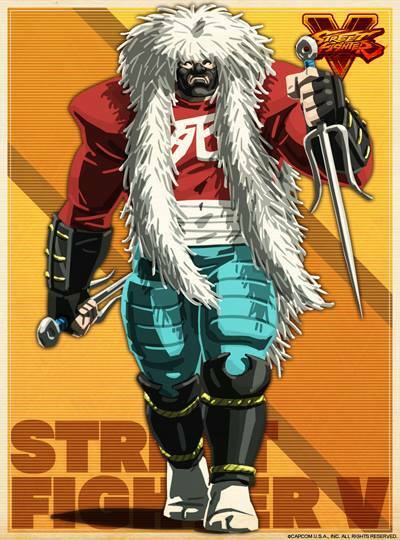 Sodom is a high ranked member of the original Mad Gear gang. A Caucasian male born in America, Sodom is completely obsessed with Japanese culture and even considers himself Japanese. He's well-versed in many aspects of Japanese culture, but his usage of the language is questionable. 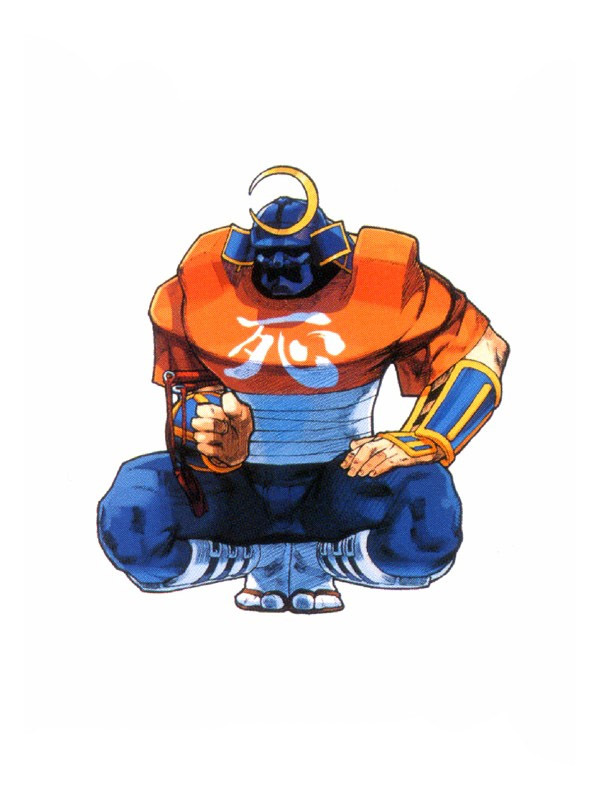 Sodom first appeared in Final Fight. 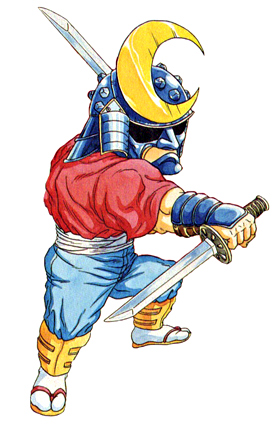 He was renamed Katana in the North American SNES version. 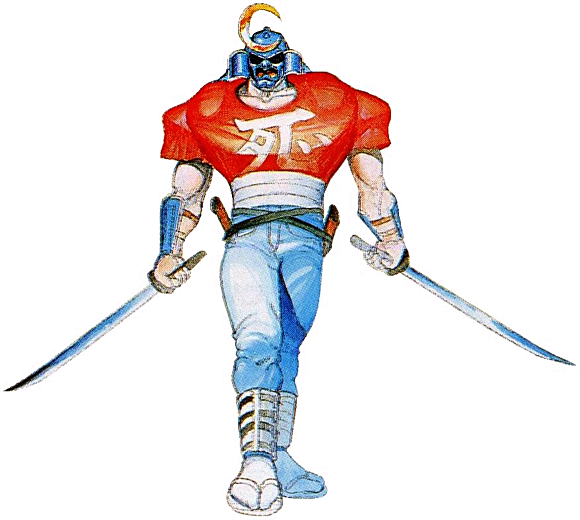 The Japanese kanji shi, meaning death, is "scribbled" across the front of Sodom's outfit (presumably written by himself). However, the kanji is not written correctly, deeming it meaningless. 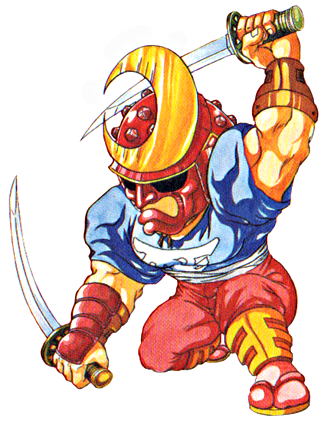 In Final Fight, Sodom is in charge of running the Mad Gear gang from the Metro City Subway area. 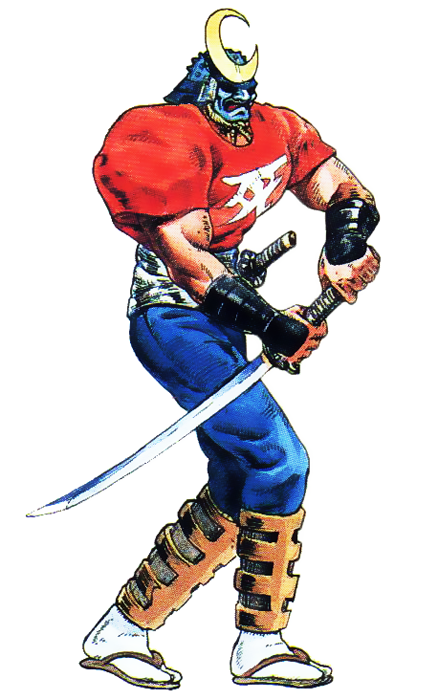 He's undefeated in underground pro wrestling, primarily due to his use of "foreign objects" (such as swords) until he meets Guy, Cody and Haggar. Guy steps into the ring with Sodom and, at first, Sodom is honored to face a true ninja of Japanese descent. However, after Sodom is defeated by Guy, Sodom's respect quickly turns to hate... first because Guy ended his undefeated streak, and second because Mad Gear appears to be losing power. 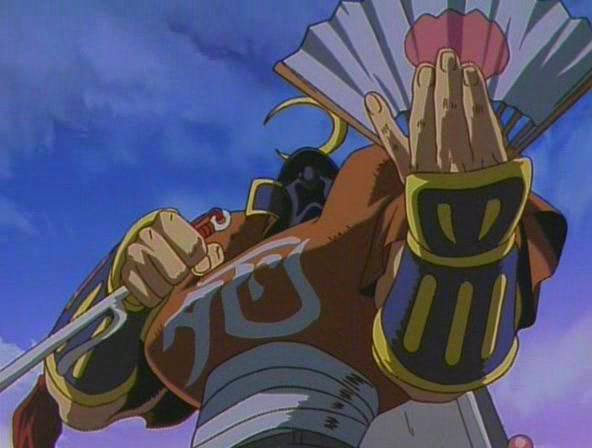 Sodom's loss to Guy caused his fellow gang members to lose respect for him and with his loss, Sodom realizes he's no match for a real Japanese fighter. 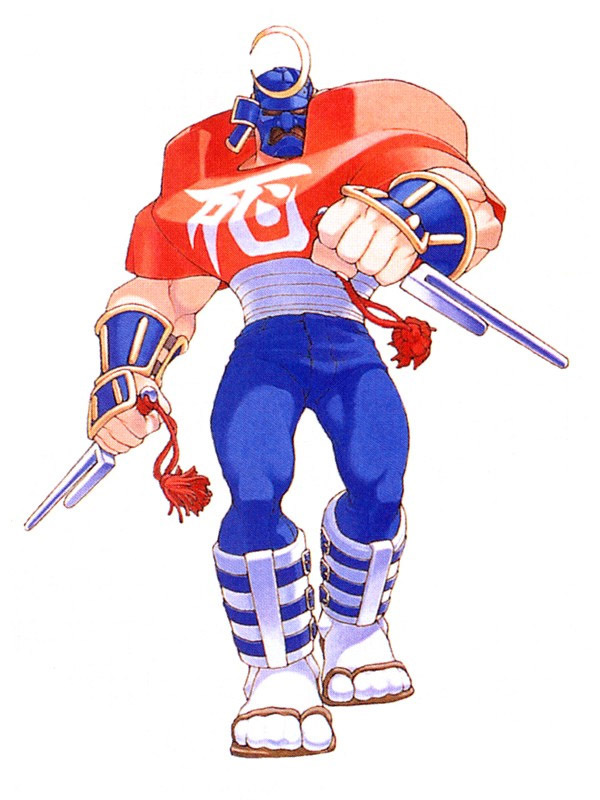 In Final Fight Revenge, Sodom is determined to resurrect Mad Gear. He flies to Japan to try to recruit new warriors for the new gang. 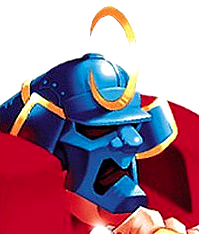 The new worldwide crime syndicate was held together by a powerful second-in-command Japanese kabuki named Retu. Original Mad Gear member Rolento, Sodom's proclaimed blood brother, is also a part of the criminal organization. Retu and Sodom arranged for Guy's fiancee, Rena, and her father, Genryusai, to be kidnapped as part of a revenge plot. 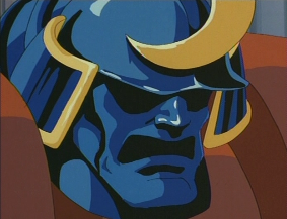 However, the new Mad Gear was destroyed by the hands of Haggar, Maki and Carlos. After Maki defeated Retu, the new Mad Gear perished. 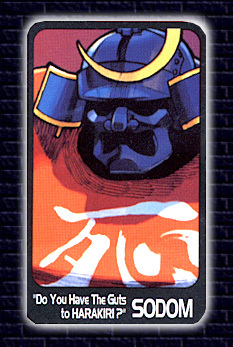 In Street Fighter Alpha 2, Sodom attempts to find more strong warriors for Mad Gear. 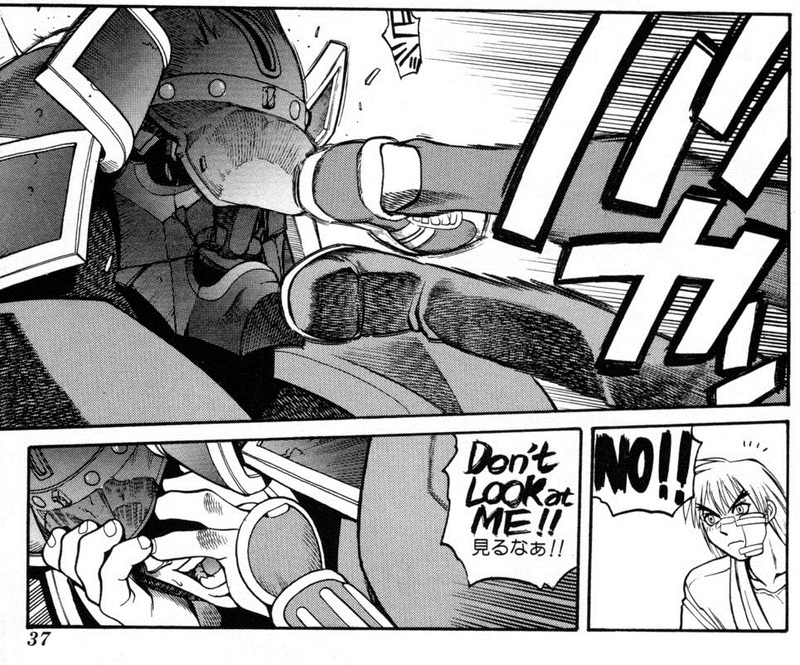 During this time, Sodom accuses Rolento of losing sight of Mad Gear's ideals. Rolento declares that he never lost sight, and is simply trying to find a successful way to implement them. The argument resultw in a fight, which Sodom lost. 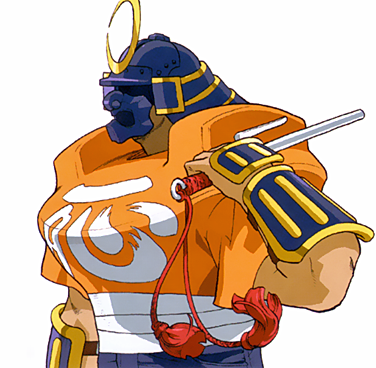 Sometime during the events of SFA2, Sodom also attempts to recruit E. Honda and fights him in a Sumo match, but loses in both instances. 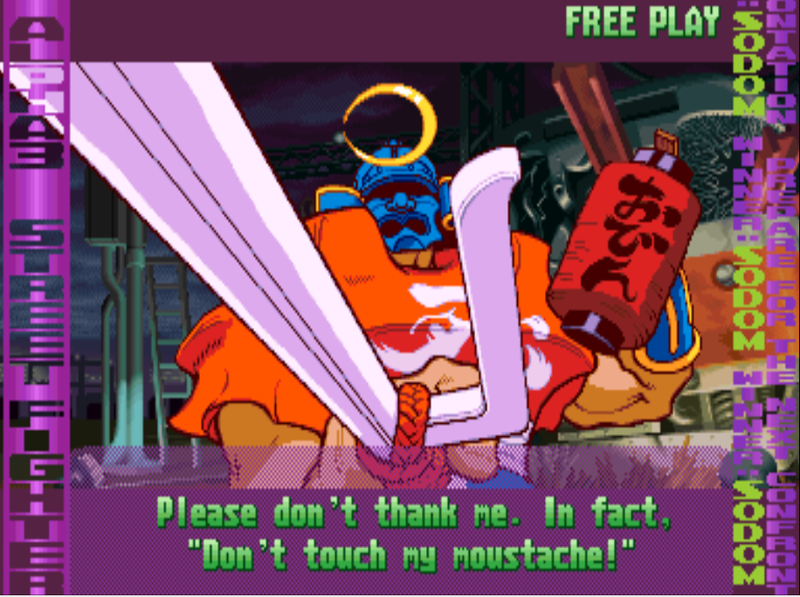 In Street Fighter Alpha 3, Sodom fights Honda in a possibly "friendly" rematch. Sodom also meets up with Rolento again, and still believes Rolento lost the ideals of Mad Gear. This results in another fight, with Rolento winning for a second time. 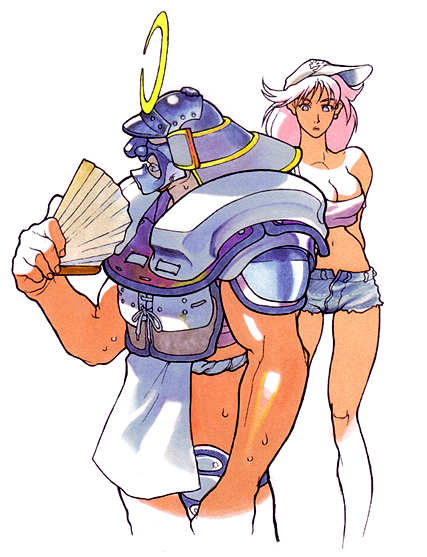 Despite his loss, Sodom follows Rolento to the Shadaloo base where he finds Rolento condemning the psycho drive as a poor attempt to control people. Because of this, Sodom realizes that Rolento did not lose sight of Mad Gear's ideals, and the two reconcile their differences. They decide to work together toward making a great utopian nation. 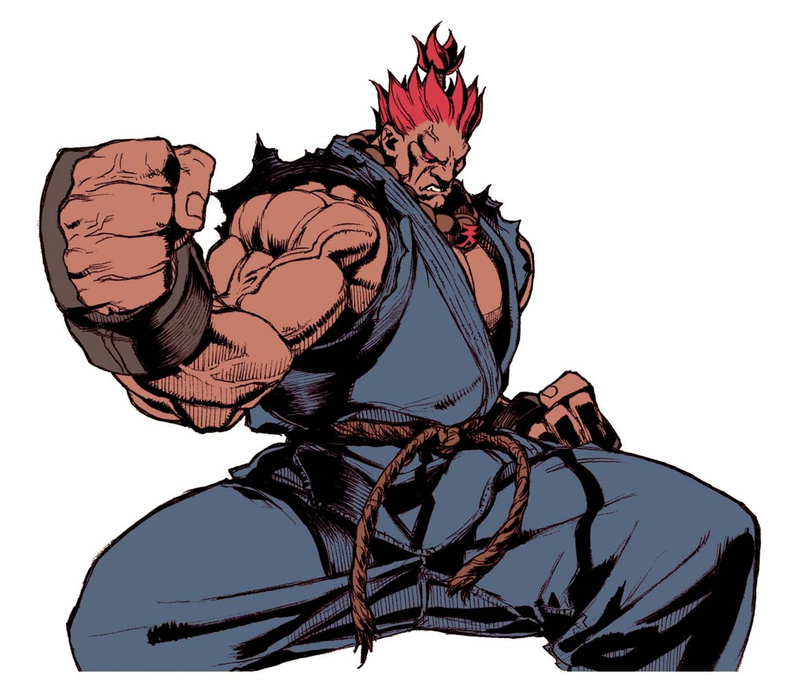 When Sodom crossed over to the Street Fighter series, he was noticeably "beefed up"... Steroids much? lol. 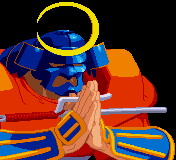 He didn't have many moves in Final Fight, so Capcom gave him an original moveset in SFA. 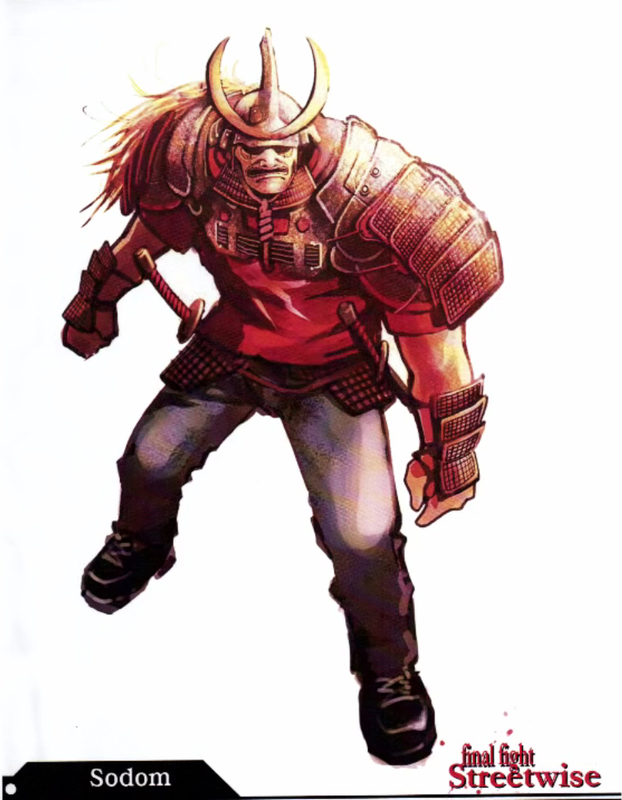 His fighting style has its cool points, but Sodom is a somewhat stiff & clunky character almost by design. 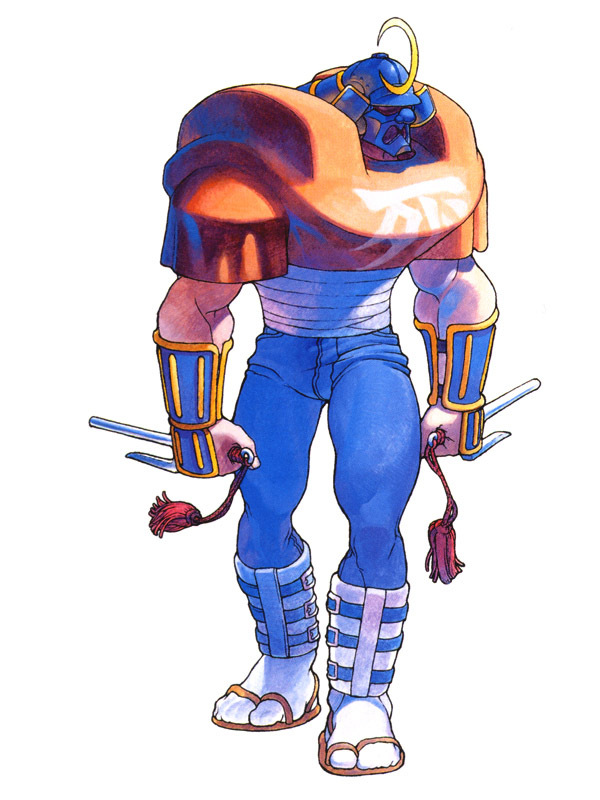 He wasn't the most exciting character in SFA, but he's still freakin' Sodom... from Final Fight.... in Street Fighter. Do not underestimate how EPIC that was in the 90's.... "Crossovers" didn't even exist back then. ;) Poor Sodom, he sure loses a lot (when it comes to his storyline)... he needs to get a win or two! lol. 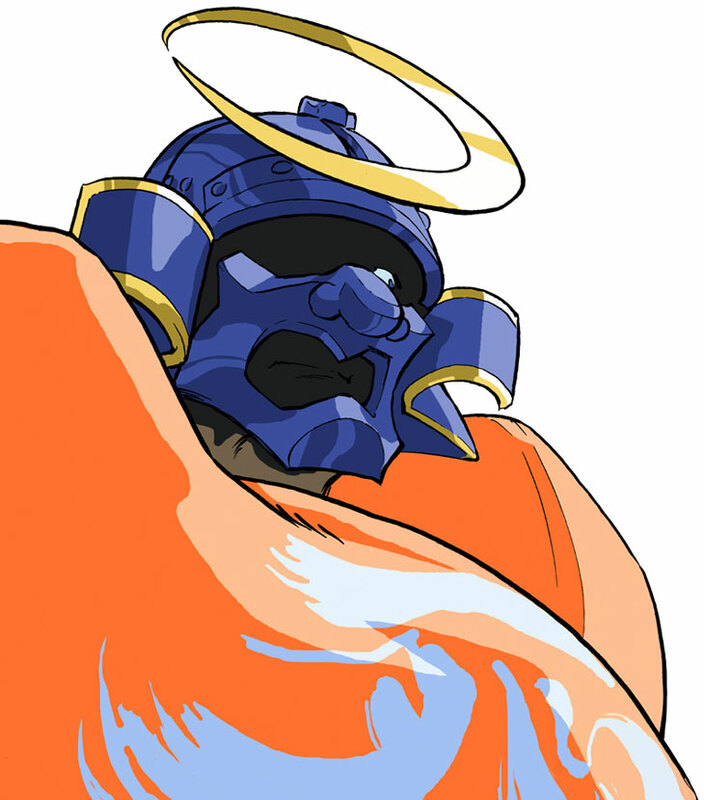 On a side note, I actually liked using him in Alpha 3 since he's an underdog.